The Independent Nursing Home Association (INHA) welcomes you to MSINHA.org, your online resource for non-profit and for-profit long term care facilities in Mississippi. 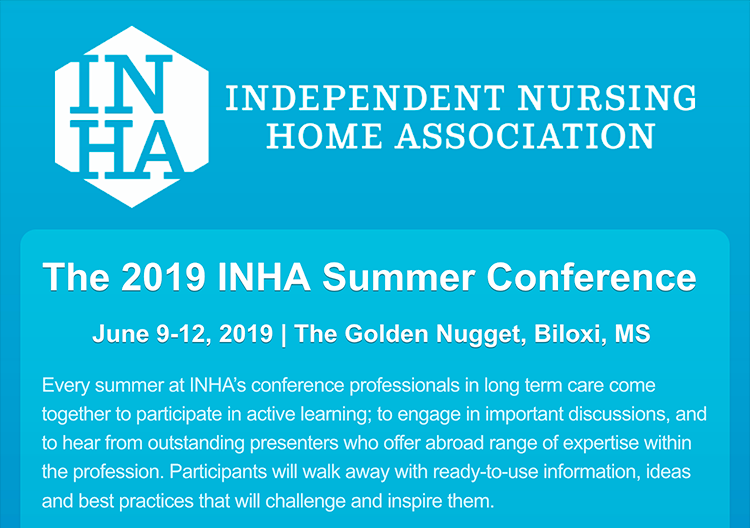 Whether you are seeking information about one of INHA's member nursing facilities, wanting to learn more about the many benefits of membership, searching for a new career, or simply wanting to know more about the association itself, you've come to the right place. INHA takes pride in being one of the state's professional long term care associations and advocacy organizations representing skilled nursing facilities. INHA member facilities care for many of Mississippi's elderly citizens. The Independent Nursing Home Association is dedicated to assisting our members in providing the highest quality of long-term care services to our residents, and we look forward to being your valued long-term care resource.